CJI Ranjan Gogoi at Kamakhya temple in Guwahati on Saturday. 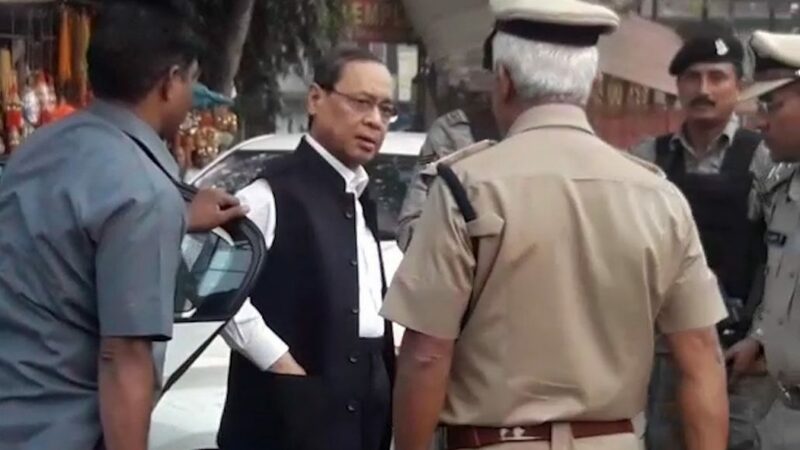 Chief Justice of India Ranjan Gogoi, who visited Kamakhya temple here on Saturday, reportedly refused to accept the security provided by Assam government, during his visit to the Shakti Pith. CJI Gogoi and his wife were forced to wait at Kamakhya temple during his earlier visit to the temple on October 17 that coincided with that of BJP president Amit Shah and Chief Minister Sarbananda Sonowal. The Chief Justice had expressed his displeasure to police officers on crowd management at the temple. Bypassing the state government’s security, the CJI was provided security cover by the CRPF commandos during his visit on Saturday. The state government subsequently suspended three senior officials for misbehaviour and not ensuring adequate security for CJI Gogoi during his visit to the shrine atop Nilachal Hills.